There is no shortage of talent and creativity between this dynamic brother-sister duo. Tiffany and Ernest are very passionate in their love for art and were both thrilled at the opportunity to design for Art Bra Austin! 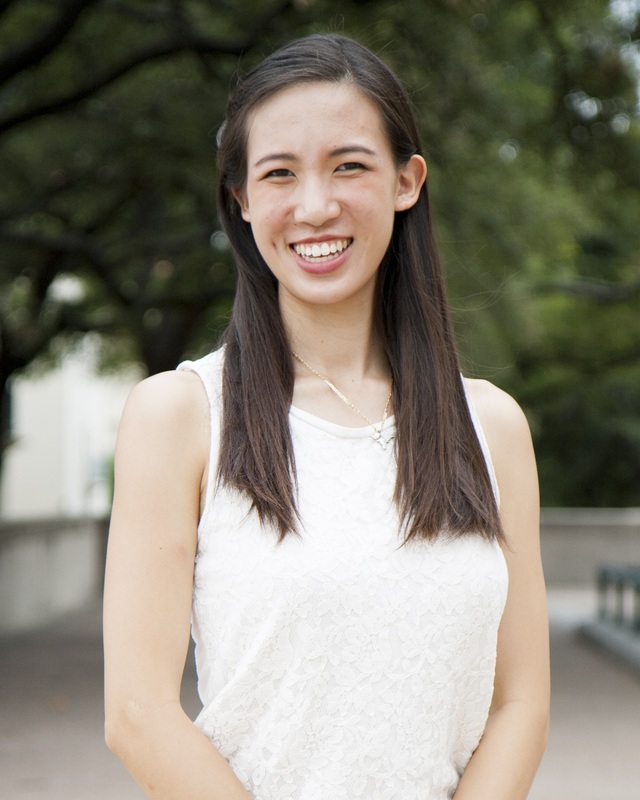 Tiffany is a student at The University of Texas at Austin, studying Textiles and Apparel Design & Plan II Honors. She began her educational journey with intentions of going into the medical field, however that all changed when she decided to pursue her true passion for fashion design. As a fashion student, Tiffany is constantly seeking to evoke elegance and class in her work. She describes her artistry as inspired by the extravagantly ornate, as well as the simply beautiful. Perhaps this is why she enjoys creating intricate pieces accentuated by the deliberate incorporation of minimalist principles. Ultimately, Tiffany desires to use continue using her talents for good, combining fashion and philanthropy to effect positive change in a creative manner. 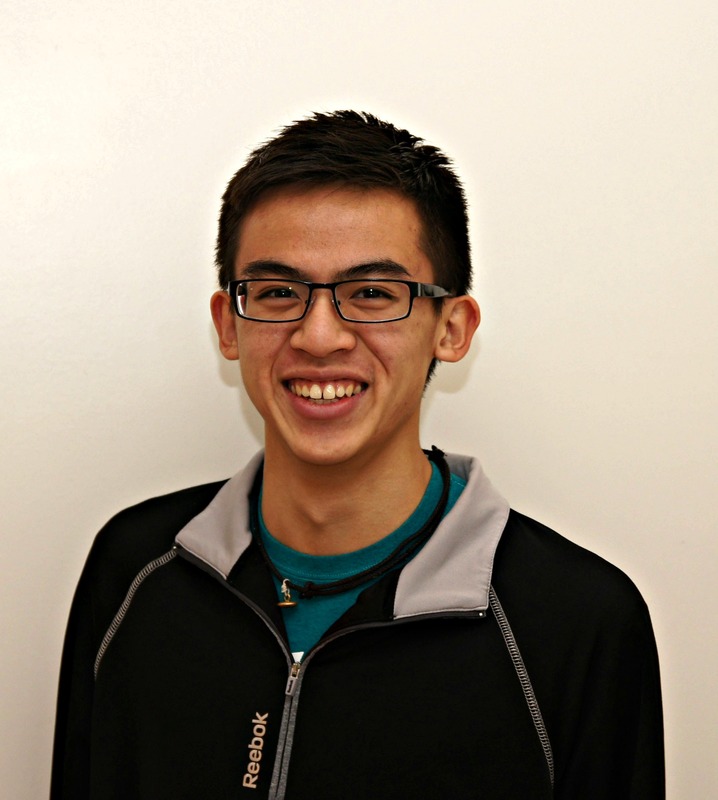 Ernest is currently a junior at Anderson High School and a member of the Troopers Drum and Bugle Corps. His passion lies in the fine arts of music and visual art. He believes art to be an expression of the world as seen through the lens of the artist. Ernest often manifests these conceptions and ideas through dark, surrealistic representations. Inspired by the unknown and unorthodox beauties, he strives to create work that elicits emotion and thought in the viewer. The inspiration for Tiffany’s art bra design is “inner beauty.” Tiffany wanted to create a piece that conveys how there is more to a person than outward appearances and physical features. 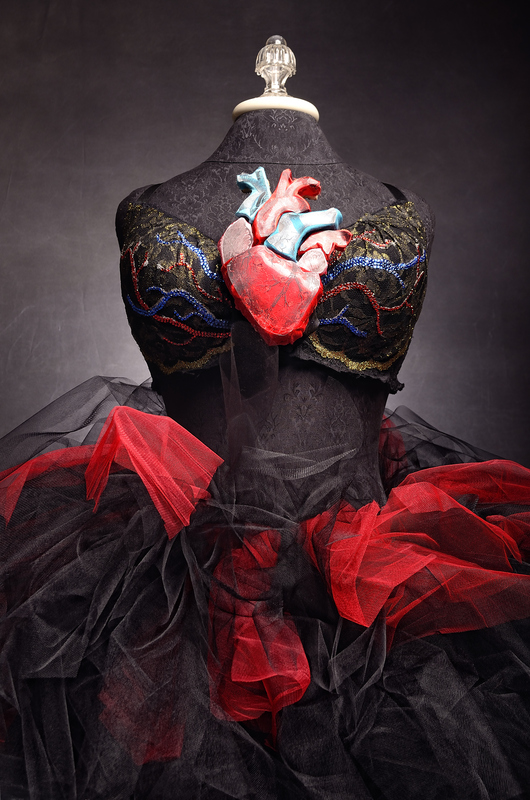 She chose to represent the circulatory system and focus on the heart as a symbol of life. For the heart centerpiece, anatomical shapes were cut out of foam and stacked in layers for variation in height to create depth. Each piece was wrapped in either red or blue fabric and attached to the flat gold fabric-wrapped heart piece. An anatomical diagram of the heart was printed on transparency paper; the pieces were cut to match the foam shapes and placed over the fabric for detailing. So that the heart could be attached without the cups interfering, a stack of black foam shapes was wrapped in black fabric and fixed to the center front as a foundation. Tiffany used blue and red crystals to resemble the veins and arteries extending from the heart centerpiece and across the cups. She completed the look by creating a black and red tulle tutu, as well as a black tulle stand-up collar. The main inspiration for the design of this art bra was the movie, “Black Swan.” Ernest wanted to combine the dark nature of the film with an unorthodox sense of beauty to exemplify the idea that beauty can be derived from anywhere. He used the gradient from white to black to parallel the transformation of the protagonist of “Black Swan.” The headpiece (not shown) is an extension of this transformation. The main component of the headpiece (the black branches) also matches the back “train”-portion of the tutu to create a sense of continuity between the top and the bottom piece. Ernest chose to use wetly textured feathers on the bra to create a unique look that would draw the viewer to the bra firstly and, using the trail of stones, down to the tutu.